Wireless multimedia applications for 3G and Smart/Integrated handheld devices. 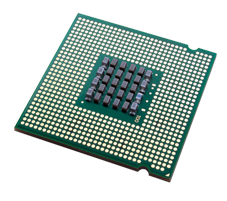 G4Matrix has developed high performance, programmable multimedia solutions for video, image and voice applications. These solutions are based on G4M's MxP™ platform, which incorporates a new paradigm in Digital Signal and Natural Data processing. Works as an “Instruction Co-Processor” to a General Purpose MPU. Eliminates the need for specialized DSP processors.